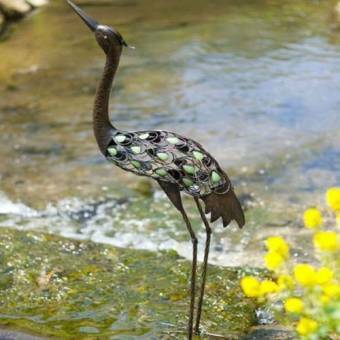 This majestic Heron is part of the La Hacienda wirework animal collection and is proving to be extremely popular. It is sleek yet traditionally styled and adds elegance to any indoor or outdoor space. This beautiful Heron features glow in the dark beads and a smooth laquer finish, they look just as impressive at night as well as during the day.